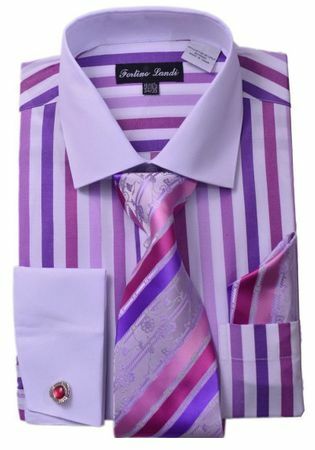 Go bold with this lavender candy stripe fancy style shirt and tie set by Milano Moda. Your style will be improved the right way with the colorful nature of this dress shirt and tie set. Featuring easy to love french style cuffs and and made of cotton/poly blend fabric for easy care.